Like most of SIMS' machinery the Model ER-1800 Case Erector was originally designed to handle the demanding needs of the Washington Fruit Industry. SIMS' Case Erectors were often running 24 hours a day; 7 days a week throughout extended fruit harvests. Fruit packing is not only demanding it is also a highly time sensitive activity-any machinery downtime could produce disastrous results. 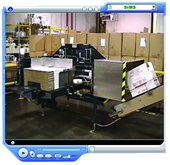 Consistent & Reliable Performance has proven SIMS as the machinery of choice for most of the Washington Fruit Industry. SIMS' Case Erectors are easy to load, simple to operate, simple to maintain, and built to perform long into the future. The model ER-1800 will produce more than 8000* cases each 8 hour shift without breaks, vacations, or sick leave. 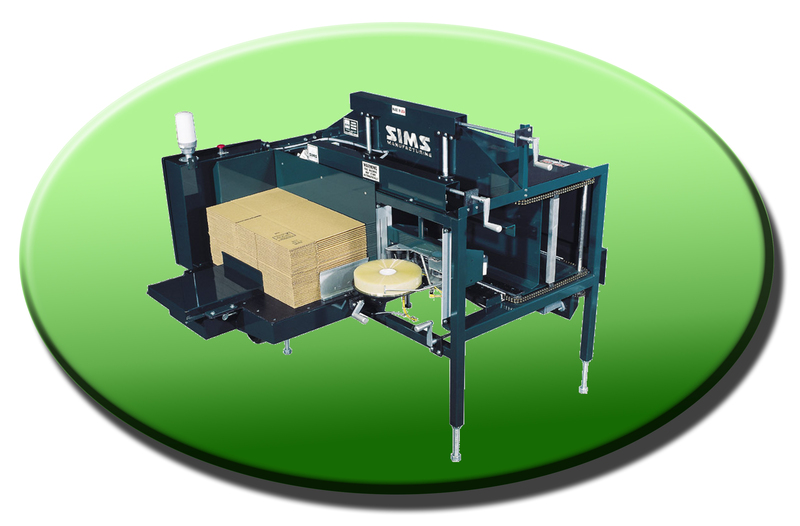 Your facility is most likely ready for an industrial strength SIMS Case Erector if you require flexibility, speed, reliability, and durability in any of your packaging equipment. *based on a typical 17 cases per min. The ER-1800 utilizes the SIMS patented tape head with the proven industry advantage of sealing extremely fast and more consistently than the competition. copywright ©2003 SIMS Manufacturing Co., Inc. Darin Au.